Originally made during the Edo Period in Japan (1600-1868), traditional Kokeshi Dolls were crafted by Kijiya artisans in the Miyagi Prefecture to sell to visitors who came to bathe in the local hot springs. 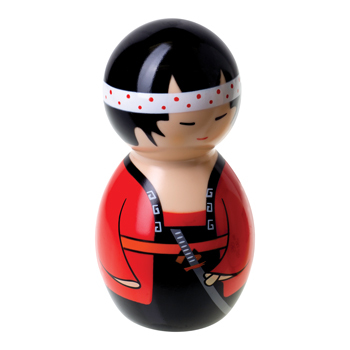 Our waterproof, battery-powered Kokeshi Dancer™ features a quiet motor to bring you 3 speeds of pleasurable vibration. Available in two collectible styles – Boy and Girl – these exotic companions add a sensual element to your spa or bath.